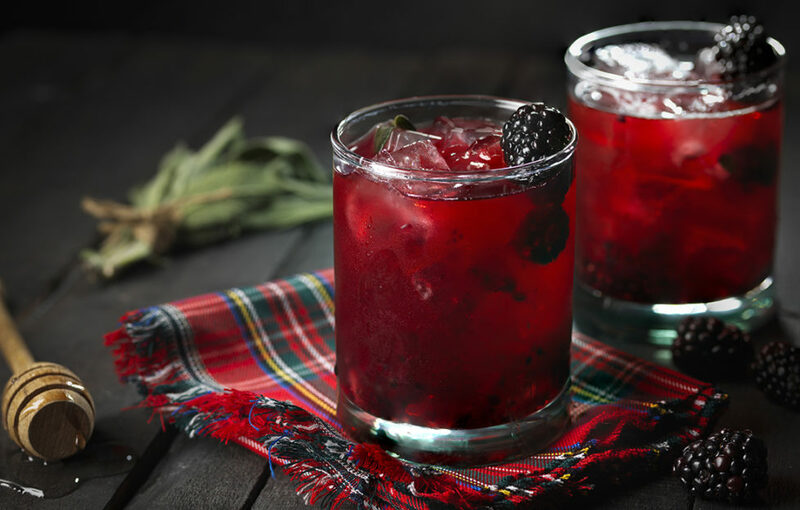 Celebrate Burns Night in style with this Blackberry & Sage Highland Spring cocktail… with a hint of fiery Scottish ginger for good measure! Add the ice and a couple of blackberries into a glass and give them a stir until the blackberries start to separate. Pour in the Crabbie’s Raspberry and add the 25ml of Whisky then give this a mix. Drizzle in the sage syrup and add the lime juice to taste. Garnish with a sage sprig and the remaining blackberries.